Join us in this fun Pilates class loosely choreographed to music. You’ll get some of everything including, cardio, Pilates, and Yoga. Build endurance and work those frequently underutilized stabilizing muscles as you improve posture and balance in this light hearted Pilates class. 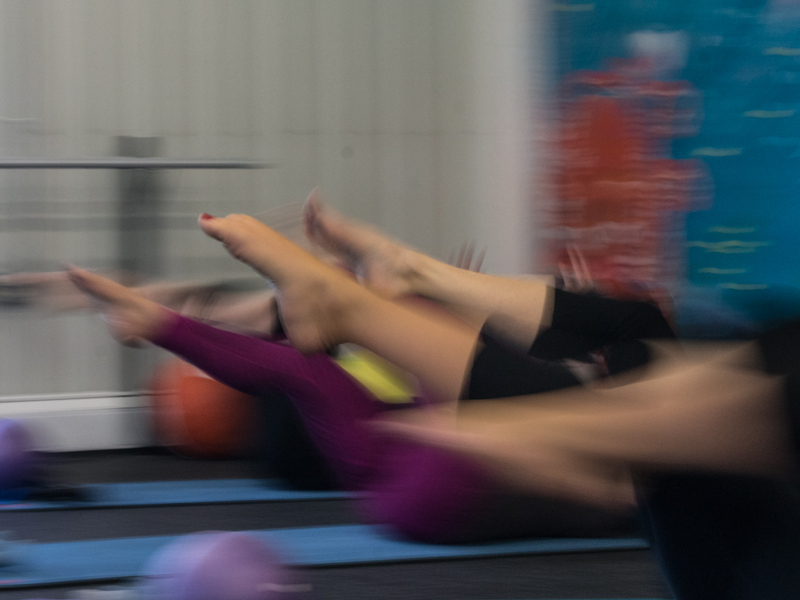 HIIT Pilates fuses Pilates core work with low impact interval training. 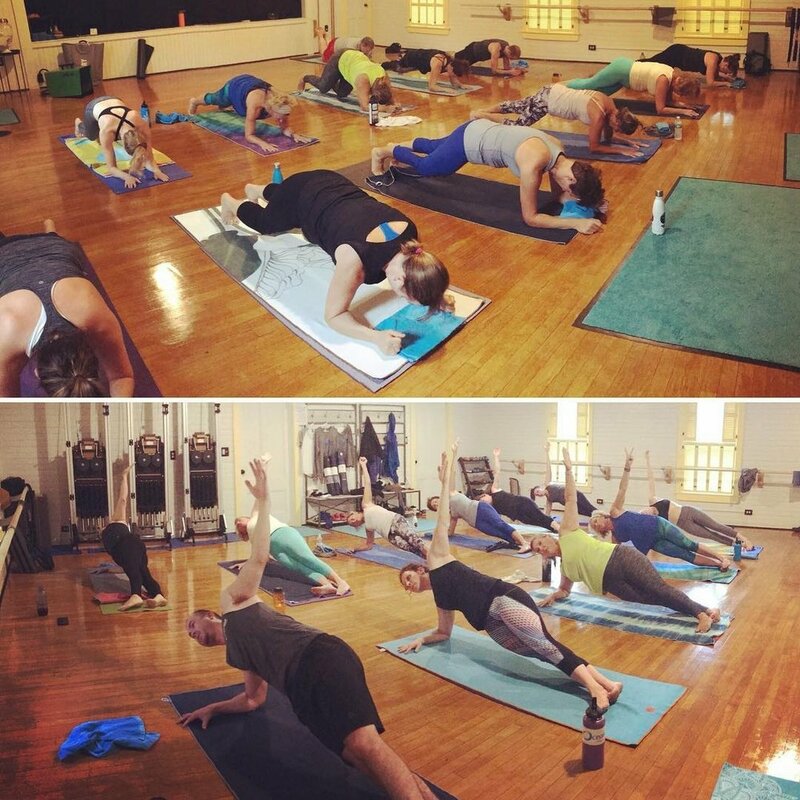 Class begins on your mat with a floor work series including an intense core work and hip bridge series; you will feel the burn. Midway through class you’ll move into high intensity low impact cardio intervals. This incredible sweat fest is crazy popular with members both young and old. Driving beats and high energy instruction from the best. Don’t miss out!. Metabolic Blast is a class designed to complement a comprehensive strength training program. These fast-paced workouts utilize a variety of exercises and equipment in an interval training format. Polar Heart rate monitors display heart rates for the group on a large screen allowing individuals to both personalize and maximize their training. Emphasis is on improving cardiovascular fitness as well as muscle strength and endurance. This class is sure to challenge however, modifications are available for members of all levels who want to get in on the fun. Our Prime Movers class is designed to complement your strength and or Pilates fitness routine with some cardio fitness fun. 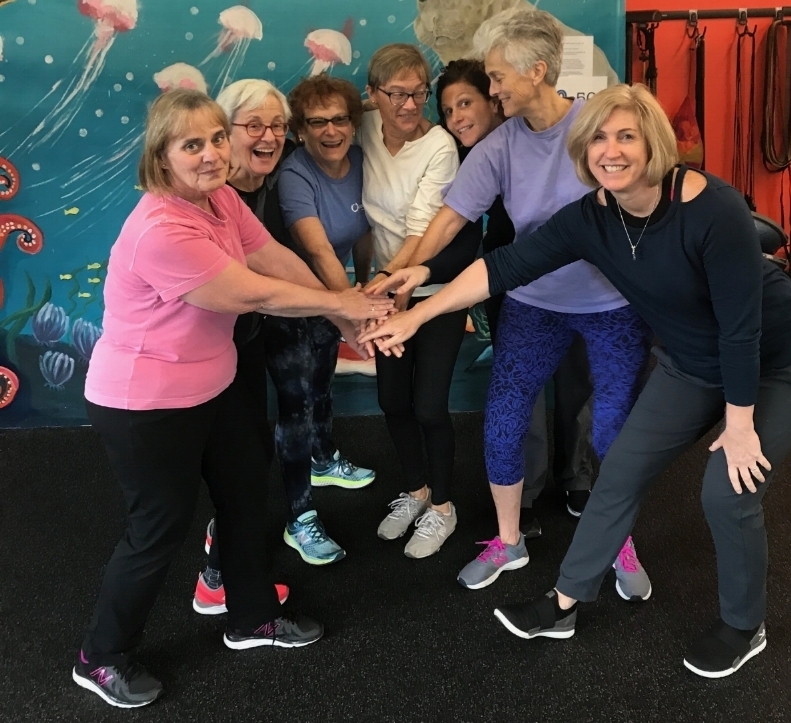 You’ll get a little bit of everything in this upbeat class specifically designed to incorporate the additional work on balance and flexibility required for an aging population. You’ll recognize a few of the songs from your younger years but we promise to mix it up and keep you having fun and coming back. 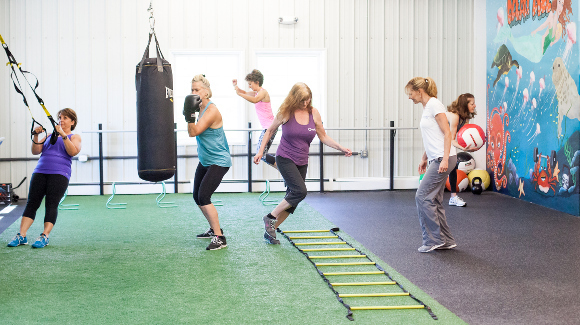 Build and Burn classes offer a comprehensive strength training program geared toward members who are injury free and do not require or wish for an individualized approach. These workouts utilize a variety of tools and equipment including dumb bells, kettle bells, TRX and sandbags. We use a density training format that allows individuals to work at their own pace. 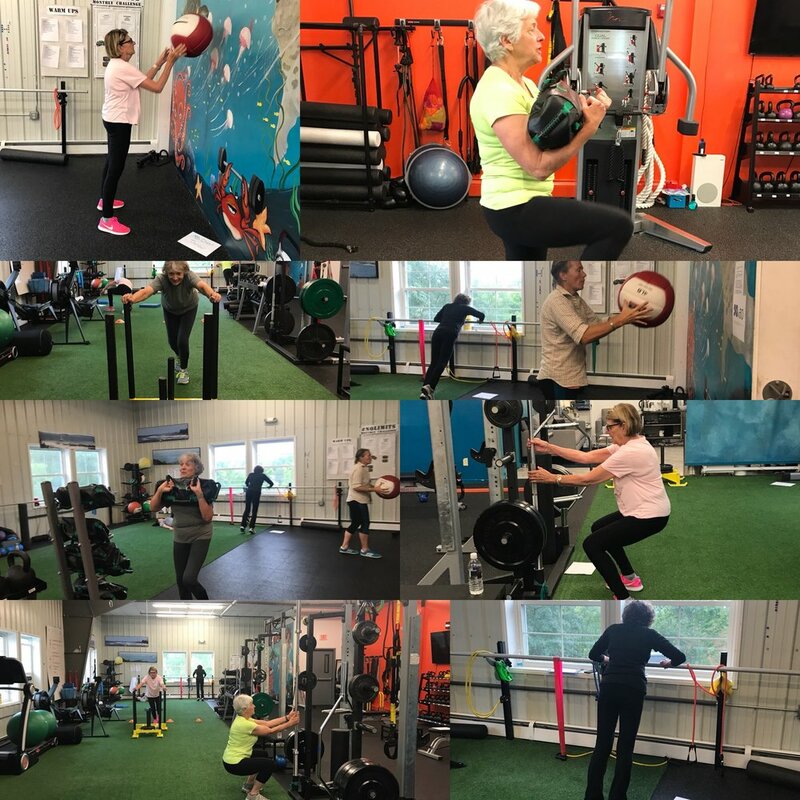 This class is also a fun way for members with individualized programs to occasionally mix it up and get a workout in with a group. 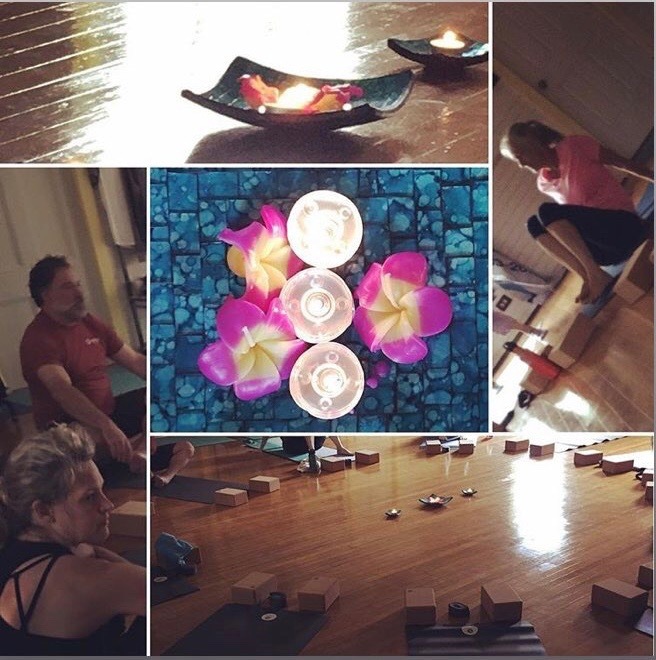 Join us on your mat and melt away stress with a practice that includes just the right balance of work and ease. Tune into your breath and connect with yourself.